There's not much mobile phones being released this November but even though the UK market will not be flooded with new phones, the mobile phones that will actually be released are something. Most of them are smartphones and yeah, you better start saving up if you want any of them. First up is the HTC HD2 which HTC has just announced to be available in Europe and Asia. 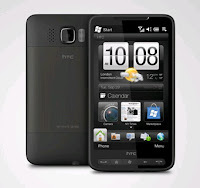 The HTC HD2 is the first windows mobile phone with a capacitive touchscreen and supports multitouch plus a 1GHz processor. Got a few hours of hands on time with it and I'll post my HTC HD2 review shortly. The Nokia N900 has been scheduled for an October release date and in fact, Expansys has this mobile phone up for sale a few weeks back but subsequently retracted the availability status to "Oct. 29". Word has it that Nokia pushed back the release date sometime in November to fix some bugs. I also got a hands on on this mobile phone and you can find my Nokia N900 review by visiting the link. I don't mind waiting for a few more weeks but I hope that Nokia fixes all bugs before releasing or this will just be another glorified N97. HTC and Nokia aren't the only ones with capable smartphones lined up for a November release date. Vodafone has recently put the Blackberry Storm2 on pre-order but is now available to buy on the Vodafone online store.